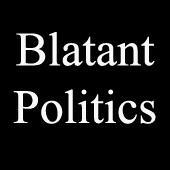 Blatant Politics is a group for anyone to share their blatantly, honest opinion about politics. As long as a post is not criminal in nature and does not violate ActiveRain's Terms of Service it will never be deleted at Blatant Politics. HAPPY 111th SAINT PATRICK'S DAY...Fran's Friday Forum...!!! Travel Ban May Hurt Florida Tourism. Damn It. WOMEN'S RIGHTS OR EQUAL RIGHTS...Fran's Friday Forum...!!! AUNT CATHERINE TRIBUTE...Fran's Friday Forum...!!! SMALL THINGS MATTER...Fran's Friday Forum...!!! WITS GOING ON 'HEAR'...Fran's Friday Forum...!!! MARCH FOR LIFE 2017...Fran's Friday Forum...!!! CITY ON A HILL...Fran's Friday Forum...!!! ONE WORD Describing Liberal Activists...Fran's Friday Forum...!! !